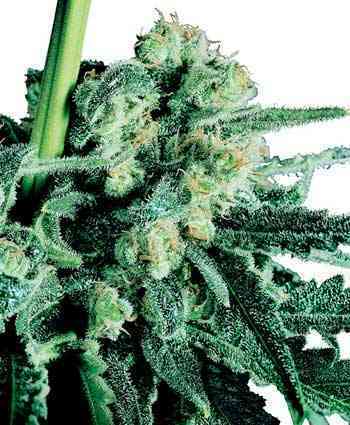 It was 2001 when Homegrown Fantaseeds was awarded a first place for the High Times Cannabis Cup, the Blue Haze was the best Sativa strain of the event leaving behind the Leda Uno from KCBrains and Soma’s NYC Diesel which received the 3rd place that year. 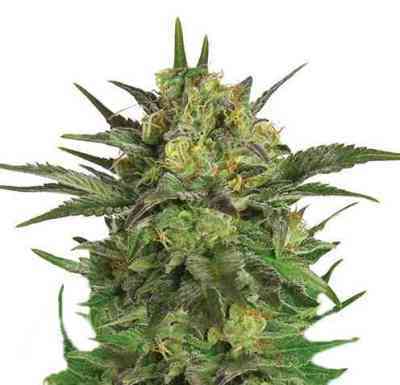 Blue Haze is a Indica/Sativa hybrid that maintained its incredible Sativa high but wrapped in a plant with Indica growth patterns, which means a short flowering cycle of 8-9 weeks and a plant that has very little stretch during that flowering period making this an easy plant to maintain in even the smallest grow room. The Blue Haze is a vigorous plant that can grow in most indoor conditions, no matter if you prefer to grow a “sea of green” with lots of smaller plants side by side, or just a few plants that have been topped and allowed to grow bushier, the Blue Haze likes it all. When flowering a young, single stemmed, plant, either from seed or a clone, you should expect it to gain approximately 30-40% in height during the first few weeks of its flowering cycle, where older plants of which the main stem has been cut to make it grow more bushy usually gain less in height but require more space between plants since they grow the remaining stems outwards. 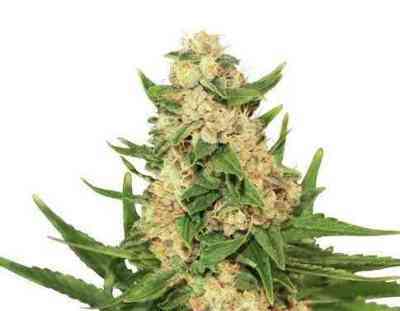 Because of their short flowering period, low stretch and good yield, the Blue Haze is perfect for those who require a strain that is not only very good to smoke but also shows outstanding commercial potential. The Blue Haze is packed with flavour, a strong taste reminding me of the old days when Blueberry actually had a sweet and sour aroma with hints of actual Blueberries accompanied by a sweet Hazy aftertaste. This might be the only problem that you get when growing this plant, this weed tastes so good that you want to smoke it all day long. The psychoactive properties of this strain are a combination of the roaring high from the Original Haze and the strong sedative effects of the Blueberry, creating a rollercoaster of effects that result in a very relaxing and happy afternoon with your mates. Blue Haze is a joy to grow and a treat to smoke.